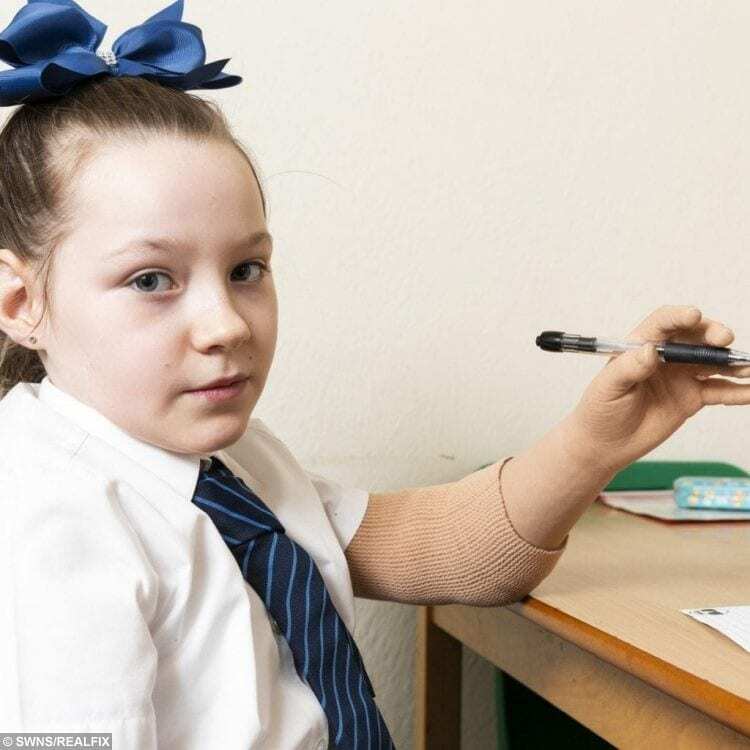 A brave nine-year-old triple-amputee is dreaming of a ‘bionic hero arm’ so she can dress herself – as her father has begged the NHS to make the limb available to everyone. Rinae Hedgecock contracted a deadly strain of meningitis as a five-year-old and lost both legs, her left arm below the elbow and the fingers and thumbs on her right hand. 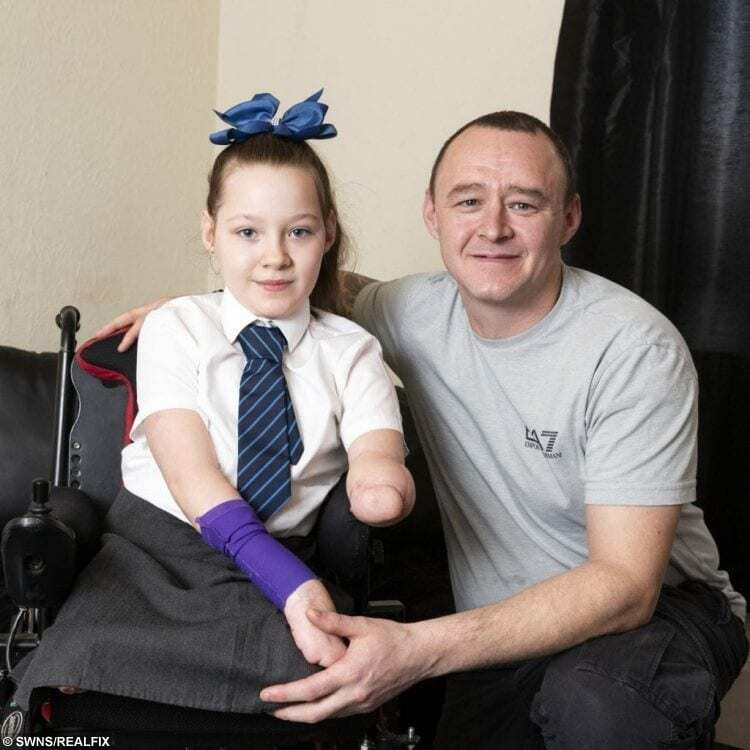 After showing unbelievable courage in her recovery, Rinae is now hoping to raise enough money for a ‘hero arm’ – made by Bristol-based company, Open Bionics. However, despite the British-made technology being recently made available in France, Rinae cannot currently receive it on the NHS. 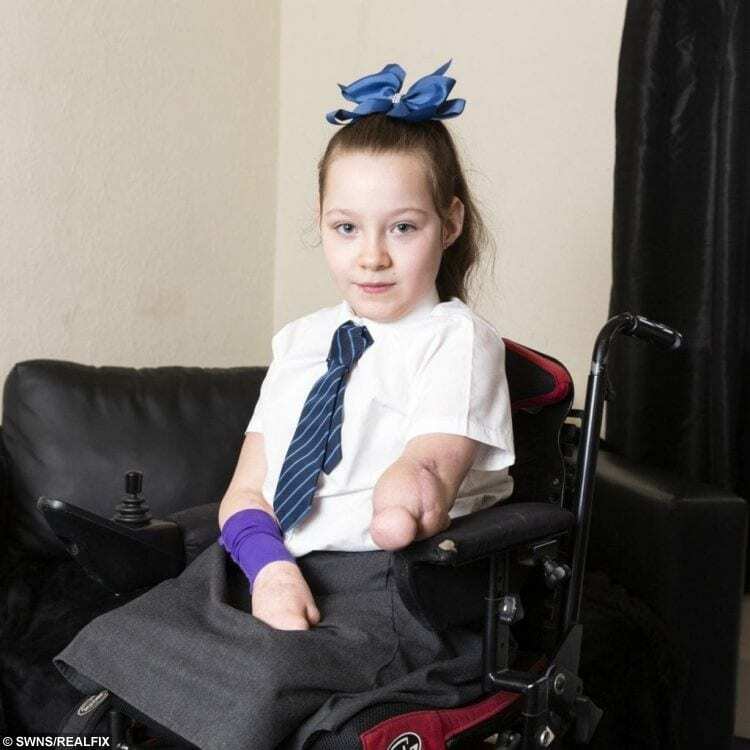 A 12-year-old boy, Oxandre Peckeu, became the first person in the European country to benefit from the life-changing prosthetic while Rinae has been left struggling with a ‘heavy and bulky’ plastic NHS version. The bionic ‘hero arms’ are the first medically approved prosthesis of their kind in Britain and allow for precise and delicate movements that other prosthetic hands cannot do. Rinae’s father John Hedgecock, 39, is now begging the NHS to allow his valiant daughter and others in the UK to be given access to the technology which would “change her life”. He said: “Rinae just wants to be independent. “She is getting to that age where she wants to be able to dress herself and she can’t with what the NHS have provided. “She has adapted incredibly to her circumstances but the technology is there which is clearly better than what is on offer by our health service. “The government should let children in the same position as my daughter have access to the best available. The little girl, who was “fit and healthy” before being diagnosed with the horrific condition in 2015, was given just 24 hours to live after being rushed to hospital – after complaining she “was aching” while playing with friends on her trampoline. Despite the bleak outlook from doctors, Rinae courageously battled the condition and four years on, she has completed enough sessions of physiotherapy to allow her to use a prosthetic arm. However, the NHS have provided Rinae with a “plastic arm” which has no functionality and was likened to a “mannequin’s limb” by her father. 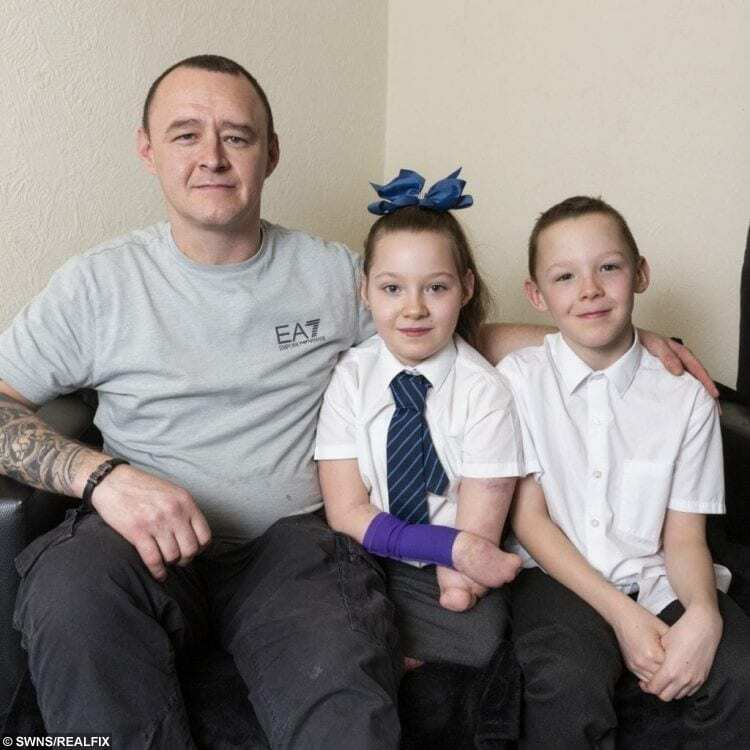 Single-father John, a bricklayer, has started fundraising the £10k needed to pay for the “bionic arm” from Open Bionics. According to Open Bionics, the cost for the limited, bulky, and heavy NHS option is approximately the same as the Hero Arm. Rinae was playing with friends at her home in Eccles, Gtr Mancs., in April 2015 when she started to feel like her body was “aching”. Naturally, John believed this was down to the activity and Rinae went to bed as usual. However, the next morning she woke up with an extreme temperature and John spotted blood blisters appearing on her skin. John said: “My nephew has had meningitis in the past so I saw the warning signs straight away. Rinae was rushed to Wythenshawe Hospital for initial tests before worried doctors transferred her to Alder Hey Hospital in Liverpool. Once arriving, John was given the devastating news she had contracted meningitis and was given just 24 hours to live. Rinae, who has a twin brother Rico and older sister Chelsea, 16, was in intensive care for six months while she battled the condition and recovered from multiple life-saving surgeries. She was hooked up to three machines pumping fresh blood round her body while she made her incredible recovery. Rinae has since undergone years of physiotherapy on her ‘stumps’ to allow her to use prosthetic legs and was last month given a ‘plastic arm’ by the NHS. Despite being given the prosthesis, Rinae sees it as a distraction due to the lack of functionality and dreams to be able to have her own “hero arm” like other children she has seen on the news. John added: “All she wants is for a bit of independence. The main thing she misses is being able to grip onto things. Samantha Payne, COO and co founder of Open Bionics, said the company ‘would love’ to see the NHS offer the technology. She said: “We’ve worked really hard to achieve a price point for the device that is acceptable for existing NHS budgets for prosthetic provision. “We have engaged with the NHS since the beginning of our development and clinicians have been incredibly supportive. Samantha said the company is launching in the US next month and arms are currently available on the French health care system. She added: “We fully support Rinae and her family in their fundraising efforts. “We know of a few children who have successfully crowd-funded their bionic hands and have been fitted through private healthcare in the UK. “We very much hope the NHS sees how helpful these devices are and will begin offering them to the people who need them, just like France. “We’ve been collecting data through our private healthcare users to help the NHS gather evidence for the device’s clinical validation. “We are also engaged in a clinical trial with the NHS. Sarah Lockey’s daughter Tilly is an ambassador for Open Bionics and has trialled their technology for two years. Sarah said it has “always been a mission” of her family to get the arms available on the NHS. 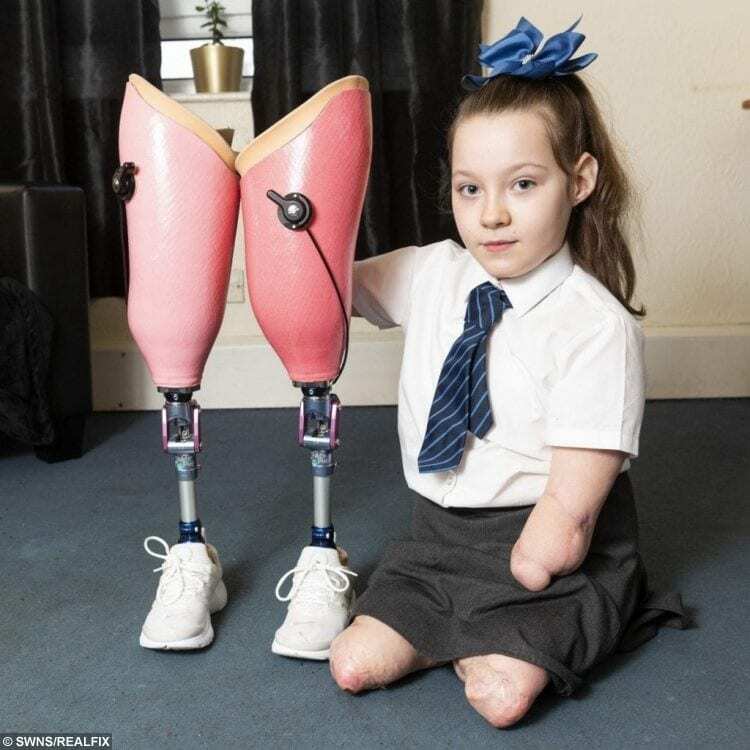 She said: “‘It’s great for France but I really wish England had been the first to introduce the Hero Arm onto our health service, considering Open Bionics are a UK based company we need our UK kids to benefit.